Today, if you’re buying a designer watch, most of the models you’re likely to encounter, particularly in the sub-$1000 range, are powered by quartz electronic movements. They’re relatively inexpensive, quite reliable, and do not require a lot of maintenance, aside from occasional battery replacement. A few models, which use solar cells or mechanical devices to charge capacitors, do not even require battery replacement. While these electronic watches are both popular and affordable, many fans of luxury wristwatches still enjoy owning a mechanical timepiece, and particularly those with an automatic, or self-winding movement. These models use a moving weight inside the watch case to apply tension to a spring through the movement of the wearer’s arm. Normal daily motion by the wearer is generally sufficient to keep the watch wound and displaying accurate time. Manually wound watches have been available since the 16th century, but automatic models, which are much more complex, are a more recent invention. The first automatic pocket watches appeared in the late 1770s, and used an oscillating weight that moved up and down as the wearer walked or otherwise went about his business. These watches were prone to overwinding, as the early models lacked any sort of mechanism to prevent the mainspring from being wound too tight, which could result in both inaccurate timekeeping and damage to the timepiece. In 1863, Adrien Philippe designed a slipping mainspring that could stay tight without being overwound. This safety device, or some variation of it, has been used in self-winding timepieces ever since. The modern self-winding wrist watch, as we know it today, was patented in Great Britain on July 7, 1923 by John Harwood, a watch repairer from the Isle of Man. Harwood was troubled by the design flaws of many manually would watches of the day, which were often plagued by dirt getting into the movement by way of the winding crown. By eliminating the winding stem, Harwood thought he could keep the dirt out of the mechanism and eliminate the problem of careless overwinding on the part of the wearer. Harwood’s patent for the self-winding wristwatch (GB218487), made use of what he called a “hammer winding system.” The movement contained a semicircular weight mounted to a pivot point at the center of the movement which would the spring when it moved in one direction only. This weight didn’t rotate completely; it rotated 300° and then back again in the other direction, based upon the movement of the wearer’s arm. The mechanism contained springs at each end of the weight’s arc; these were known as “bumpers” and helped facilitate the back and forth motion necessary to wind the spring. A friction plate in the winding mechanism prevented overwinding. An unusual feature for its time is the fact that Harwood’s watch had no winding crown at all. The hands were set by rotating the bezel. With no crown, and no need to wind, the problems of overwinding and dirt infiltration into the movement were eliminated. Harwood’s first automatic watches were able to run 12 hours without any movement on the part of the wearer. Harwood and his financial backer, Harry Cutts, of Cheshire, England, soon formed the Harwood Self-Winding Watch Company, which sold watches based on Harwood’s design but which were manufactured by Fortis and A. Schild, two then-well-known Swiss watchmaking firms. The company was relatively successful early on, and manufactured roughly 30,000 timepieces between 1928 and 1931, at which time the company went bankrupt due to the effects of the Great Depression. A number of companies still use some variation of Harwood’s initial design today, albeit with numerous improvements. In 1930, the Rolex Watch Company introduced their Rolex Oyster Perpetual line of timepieces, which used a modified version of Harwood’s design. 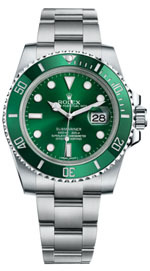 The improvements by Rolex included modifying the moving weight so that it rotated a full 360°, rather than the 300° of Harwood’s design. This modification allowed the watch to run for as long as 35 hours without movement on the part of the wearer, a nearly 200% improvement in performance. 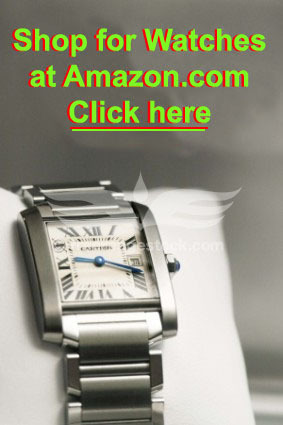 Click here to shop for designer watches at Amazon. Harwood’s invention quickly took over the industry. While inexpensive wristwatches continued to be made with manual movements, most mid to high end watches were using automatic movements by the early 1950s. This continued throughout the 1960s until the introduction of the quartz movement in 1969. These battery powered watches kept exceptionally good time, required little in the way of maintenance, and would continue to run and keep accurate time even if they were just sitting on a dresser or were stashed in a drawer. By the late 1970s, quartz movements and their Japanese makers were dominating the industry, and a number of Swiss watchmakers went out of business. A number of others were in dire financial straits, and in 1980, the company that later became known as the Swatch Group was founded as Societe Suisse de Microelectronique et d’Horlogerie, or SMH, in order to reintroduce entry-level analog watches to the marketplace with bold styling, aggressive pricing and extensive marketing. Their efforts were successful, and today, the luxury watch industry is thriving. While a few high end manufacturers, such as Rolex and Patek Philippe, have made a few quartz watches over the years, mostly as an attempt to compete with the then-dominating Japanese firms, those companies have since discontinued those models and are instead making manual and automatic models exclusively. Mechanical timepieces have enjoyed quite a Renaissance, and a number of high end watchmakers not only make mechanical wristwatches, but also produce models with interesting and elaborate mechanical complications, such as a display of the phases of the moon, display of the day and/or date, or the inclusion of a tourbillon, a device intended to offset the effects of gravity on the accuracy of the watch. While today’s watches with automatic movements are quite accurate, they’re also magnificent examples of the art of watchmaking. It’s quite a feat to create an elaborate mechanical device that can keep time, wind itself and to put it all in a form factor that is small enough to fit on a wrist. While automatic watches are necessarily thicker and a bit heavier than their manual counterparts, many buyers are content with the benefits of not having to regularly wind or set the timepiece. John Harwood would probably be quite surprised to see that his self-winding mechanism, patented in 1923, is still in use today. 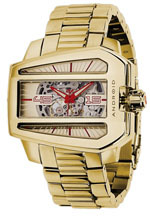 Click here to buy Automatic watches at Amazon.